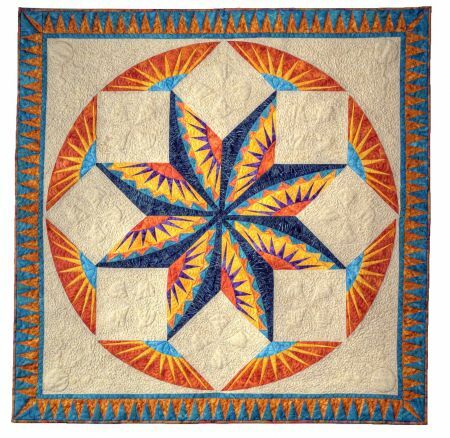 I was hired to teach for a retreat in Arizona, and they asked me if I could design a quilt just for their retreat! At the time, I thought it would be a piece of cake, but it was more challenging to me than I anticipated. I didn't have a clue if I should go Native American, or not, so this is what I ended up with!